ducational excellence from pre-school through graduate school is in Lincoln Towers' backyard. 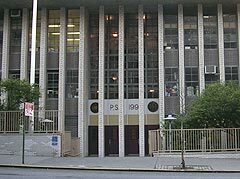 Most important, six of the eight buildings are in the catchment area of one of the most sought after public grade schools in New York City: P. S. 199 (www.ps199pta.org). Children in the other two buildings have recently been zoned to attend P. S. 191, in a beautiful brand new building a few blocks to the south. Now in its first year, we will update the progress of this new facility as it grows. Led by a dedicated administration and professional staff, and encouraged by an intensely involved and supportive parent body, P.S. 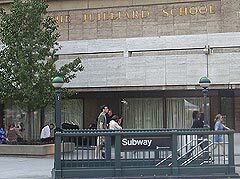 199 has a legacy of achievement and excellence that has propelled it to be rated in the top tier of public elementary schools, and to be consistently included among the best in the City in New York City's Best Public Elementary Schools: a Parents' Guide, by Clara Hemphill (for the complete review of P.S. 199, click here, or go to Teachers College Press, www.tcpress.com, for more information or to order the book). Another review has noted a single downside, however: the [s]chool's popularity makes it difficult for those outside the neighborhood to get in. (www.insideschools.org). 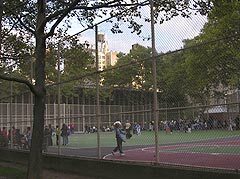 The majority of children living in Lincoln Towers do not even have to cross a street to get to P.S. 199. Being able to responsibly send their children to public school and save the large investment a private school education, especially beginning in the primary years, requires, is undoubtedly one of the primary reasons so many families decide to live in Lincoln Towers. For those who prefer, however, an array of excellent private schools are also within walking distance, including the Ethical Culture, Collegiate (for boys) and Calhoun Schools. 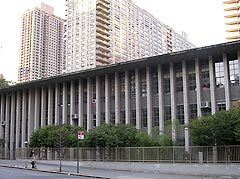 For the more talented, the Professional Children's School, the School of American Ballet, Juilliard and Fiorello La Guardia High School of Performing Arts and Music are right down the street. 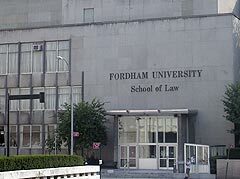 Fordham University's Lincoln Center Campus, with its School of Law and graduate schools of Social Service, Business Administration, and Education, and the John Jay College of Criminal Justice are each just a five minute walk away. Columbia University and NYU are short subway rides away, and Hunter College is a quick and direct bus ride through Central Park.